House Democrats are voicing their displeasure with a state agency’s plan to close seven state parks. Several Democratic members are planning a press conference Tuesday at the state Capitol to protest the decision by the Oklahoma Tourism and Recreation Department. Tourism officials announced earlier this year plans to close Adair State Park in Stilwell, Beaver Dunes, Boggy Depot in Atoka, Brushy Lake in Sallisaw, Heavener Runestone State Park, Lake Eucha in Jay, and Wah-Sha-She in Copan. 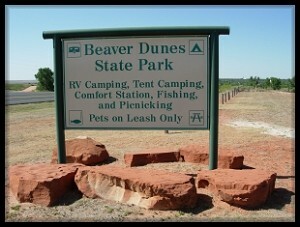 All of the parks except the Beaver Dunes are located in eastern Oklahoma. Tourism officials say the closures are necessary as the agency grapples with continued cuts to its budget. House Democrats voted unanimously last week to oppose the closing of any state parks.